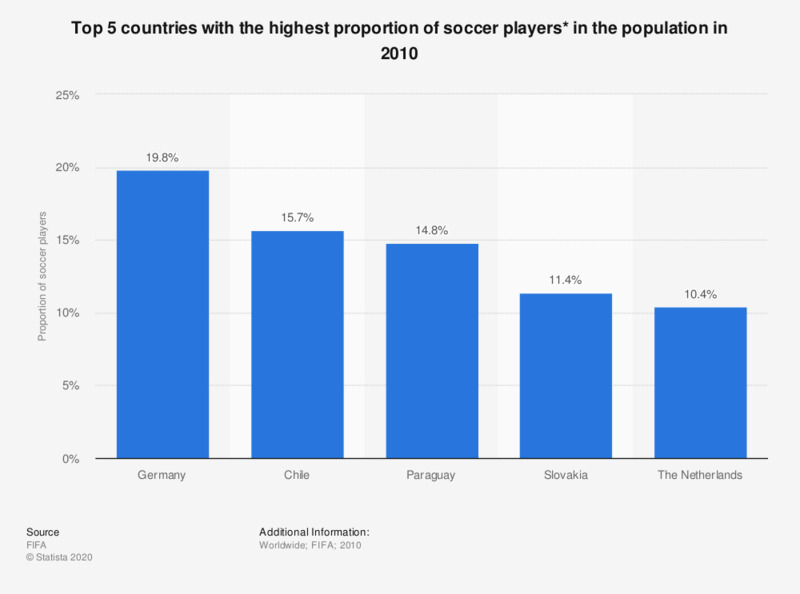 This table shows the countries with the highest proportion of soccer players in the population. 19.8 percent of the German population are soccer players. * Male and female soccer players in the UEFA and CONMEBOL.